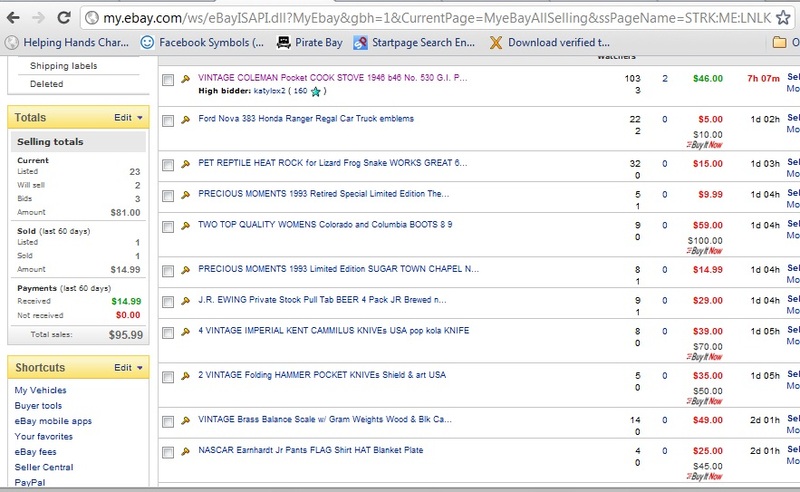 Here is a current list of the donated items we have to sell to raise funds for our charitable causes. 1885 Shakespeare Books (Mershon Comp. Publishers) NYC Vol. III, V, and VII $40 each. Jake Logan 1970s Western Collection $5 /ea. Louis L’Amour 1970s Western Collection $5/ea. 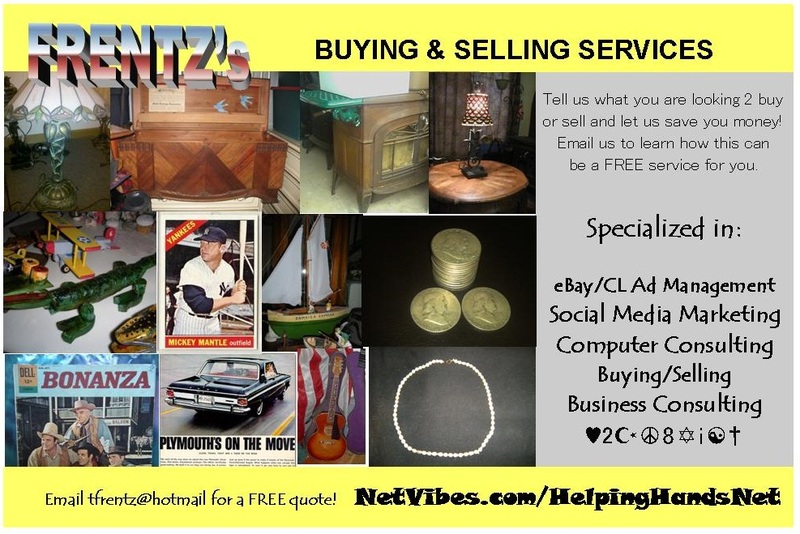 Let us buy or sell for you!!! 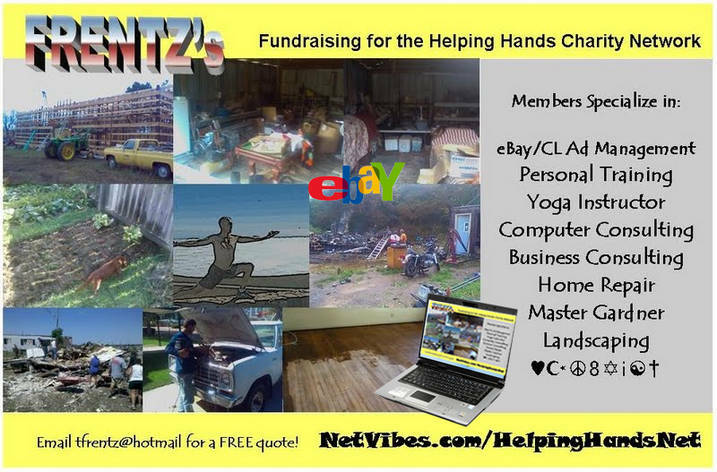 Check my references on Facebook.com/FreeHelpingHands or Social Links at Netvibes.com/HelpingHandsNet to see we are honest people with a great cause of funding a HELPING HANDS CHARITY! Subscribe to our updates and receive 10% off our items and services. Alloy universal 16″ racing wheels $400 set + w/ new 215/55 R16 Tires ADD $80/ea. Smoker Grills (1) electric (2) wood $10/ea. Lumber – Our client bought a nice sturdy school house and we have been helping them part out the antiques and lumber. We sell at 50% of retail for clean and 25% for those full of nails still. A lot are 20′ so they can be cut to length needed before loading if needed.